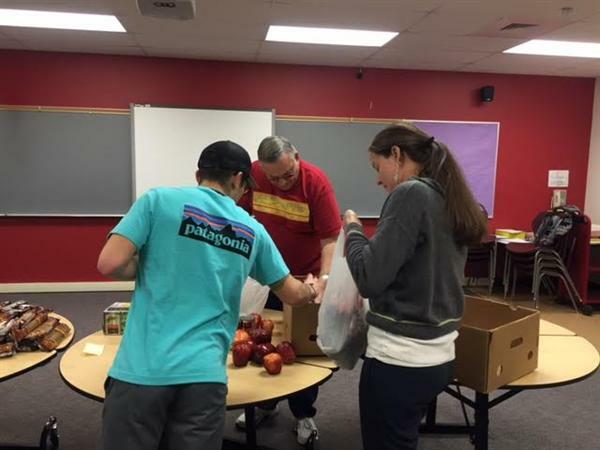 The Estes Park Education Association (EPEA) started the program to help make a difference for our students and our community. Estes Pak is a supplemental weekend food program. The unfortunate truth is that some of our students and their families face hunger and food insecurity issues on weekends. The Estes Pak program provides healthy, nonperishable food to families in need. Students take ﻿home bags of food on Fridays for the weekend. There is no qualifying criteria or questions asked. If a family has a need, Estes Pak will send home food. Estes Pak is proud to partner with the Estes Park School District, ﻿all Rotary Clubs in Estes Park, the Food Bank for Larimer County and many other service groups, religious groups, and individuals. High Plains will have a rooftop garden and a learning garden. Students and school community members will help create and care for both. Grand opening is scheduled for August 2, 2016 at 5:00 p.m.
﻿Thompson School District Transportation committee pitches idea to school board! ﻿Members of the Transportation Advisory Committee pitched the idea of bus advertising to the Thompson School District Board of Education on Wednesday, asking the district to try the idea again, several years after a previous attempt failed.